DSS provides exclusive storage resources to ensure high disk read/write speed, data security, and compliance. DSS supports disk sharing, disk encryption, disk backup, and snapshot, perfect for enterprises in a wide range of industries. By flexibly interconnecting with various computing services, such as ECS, BMS, and DCC, DSS can easily accommodate HPC, OLAP, and mixed-load scenarios. With a distributed storage architecture and smooth expansion capabilities, DSS provides high-throughput and high-concurrency storage, all with improved performance. DSS can interconnect with the ECS and BMS services in a DeC, satisfying high performance, stability, data security, and regulatory compliance requirements. By interconnecting with dedicated computing services, high performance is guaranteed. Dedicated distributed storage and dedicated computing resources mean your data is safe and secure, and stable and reliable at any moment. DSS can interconnect with computing services such as ECS and BMS in a non-DeC to meet requirements of deploying applications on non-dedicated servers. DSS ensures your resources are always available when you need them.  DSS is designed for scenarios with high concurrency and high throughput and supports hybrid deployment of HPC, databases, email, OA office, and web applications. With high IOPS and high throughput, DSS is able to meet the requirements of mixed loads. Storage resources can be expanded smoothly as services grow. DSS provides you with ultra-high I/O storage to meet the requirements of large-scale concurrent computing, perfect for scenarios such as automobile simulation, DNA sequencing, and machine learning. DSS provides dedicated high-throughput capabilities for high-performance computing applications. DSS supports physical storage resource isolation and data encryption for enhanced custody over your data. DSS provides dedicated high-throughput capabilities for OLAP applications. DSS disks can be attached to multiple servers, and SCSI-3 reservation is supported to ensure node performance for your database applications. High I/O and ultra-high I/O dedicated distributed storage is provided to meet your service requirements. Suitable for read/write-intensive scenarios that require extremely high performance and read/write speed, and low latency. Resource capacities can be expanded as required to maximize resource utilization. DSS supports real-time monitoring of health and running status of disks through Cloud Eye. DSS disks support point-in-time backups, ensuring the correctness of your data for improved service continuity. The read/write speeds and throughput of DSS disks can be monitored in real time. DSS supports user-defined alarm rules and automatic reminders.